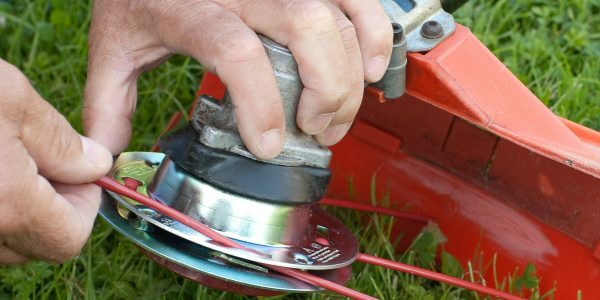 The steel Weedlover trimmer head is pure simplicity. the revolutionary construction makes changing the line a task that’s completed in seconds. So there’s no lost time! 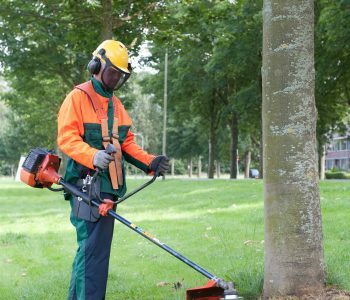 Trimmers with a petrol engine of 20 cc or more can easily cut with the weedlover. The Weedlover Durabrush is one of the most environmentally friendly weed brushes on the market. The bristles of the Durabrush are made of a high-quality plastic fibre, specially for the Weedlover trimmer head. The Weed Scraper is the solution for a weed free terrace. The Weed Scraper is a skilful garden tool which helps you to remove the weeds on the terrace without stooping. As from now you manage these heavy jobs, which were in former days always heavy, without any effort. 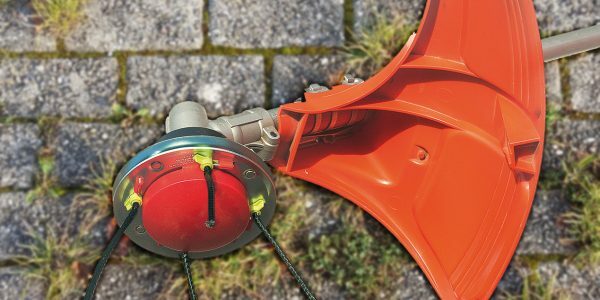 With its 20 / 25,4 mounting hole, the trimmer head fits virtually all trimmers that accept blades. 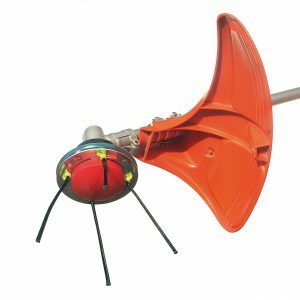 The trimmer head is fitted with a red protective cover that protects the attachment mechanism of the trimmer head. This is available separately. The cutters are sold in packs of 50 and are available in 4,0 mm diameter. You can choose between square- and round-profile cutters. As the name suggests, this cutting wire has a protective function. 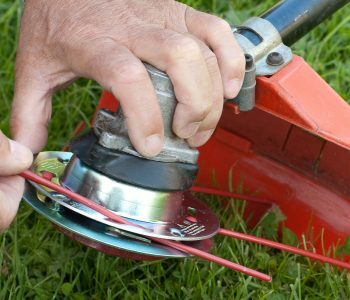 The cutting wire Protect Line is specially developed for mowing around trees (tree levels), shrubs, tombstones and other vulnerable areas without any damage being caused. 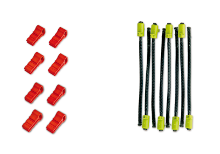 This cutting wires are available in 2.4 mm and packed per 20 pieces. Duraline trimmer cutters are made of steel wire with a plastic coating, which makes them very wear resistant. These cutters are available in 4,0 mm dimeter and are sold in packs of 16. Perfectly suited for thick / coarse vegetation. 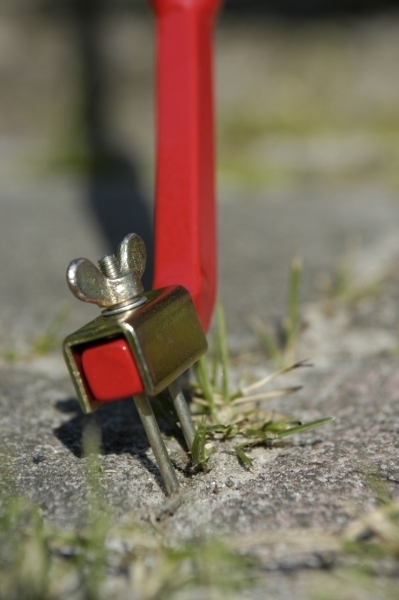 Attaching a cutter is simple: just feed the small end through the hole in the trimmer head. 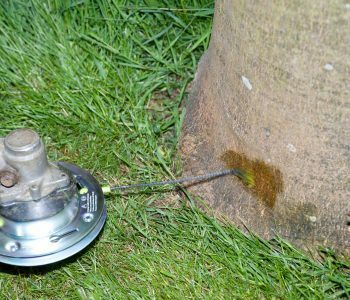 The Weedlover trimmer head can be fitted with 2 or 4 opposing cutters as required. The best result is achieved with 4 cutters. The Weedlover trimmer head, nylon cutters, Duraline metal cutters and Durabrush weed brushes have been tested by DPLF (Deutsche Prüfstelle für Land- und Forsttechnik) of Kassel, Germany, which has issued reports with test numbers 2005-289 and 10.656 / 01. The Weedlover Bosmaaikop is being sold by Kramp-Groep in the Benelux and Germany. Durabrush bristle brushes are sold in sets of eight, including eight attachment clips. 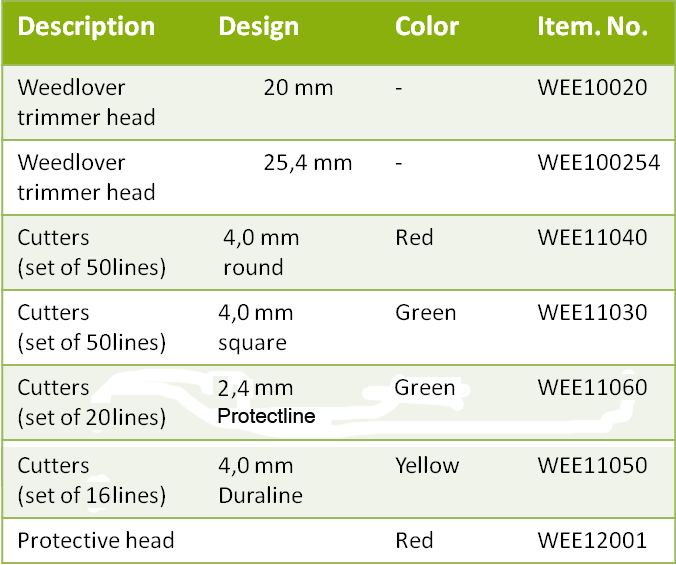 The Weedlover trimmer head, nylon cutters, Duraline metal cutters and Durabrush weed brushes have been tested by DPLF (Deutsche Prüfstelle für Land- und Forstechnik) of Kassel, Germany, which has issued reports with test numbers 2005-289 and 10.656/01. The Weed Scraper is the solution for a weed free terrace. 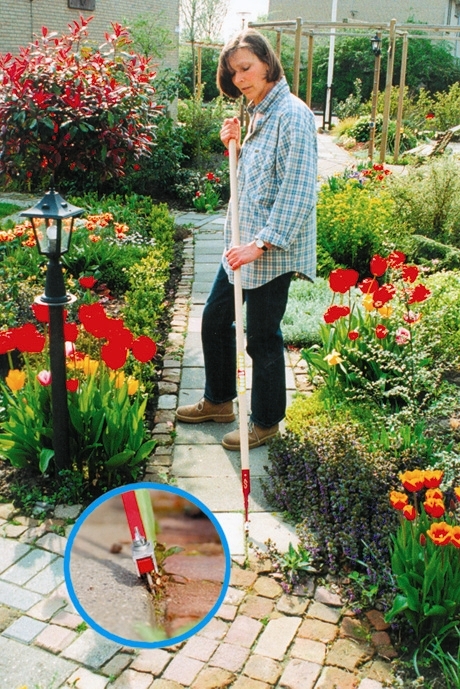 The Weed Scraper is a skilful garden tool which helps you to remove the weeds on the terrace without stooping. As from now you manage these heavy jobs, which were in former days always heavy, without any effort. By using this ideal schraper with long stalk, you prevent annoying back complaints. 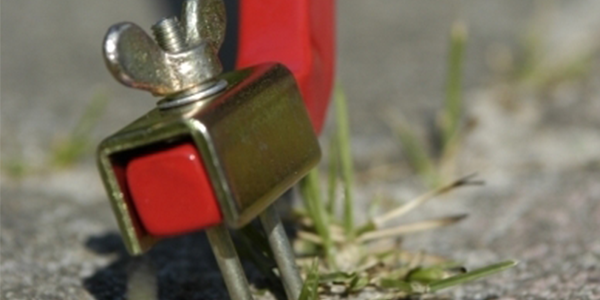 Moreover the Weed Scraper is an environment-friendly tool, because you don’t need toxic products for eradicating weeds anymore. 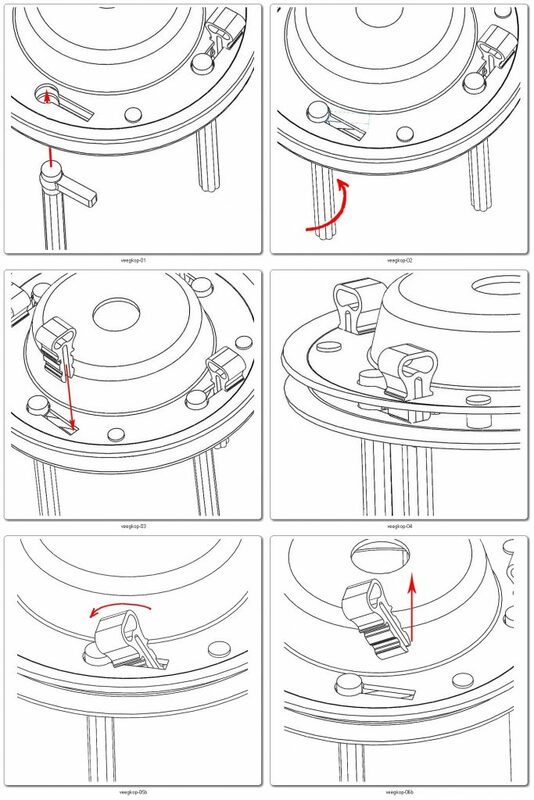 Replacing of the steel nails is simple and only takes seconds!